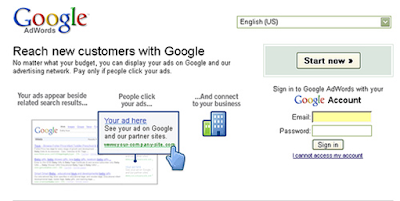 Tech Access Blog: Google Adwords PPC - In House or External Support - Which Works Best? Google Adwords PPC - In House or External Support - Which Works Best? 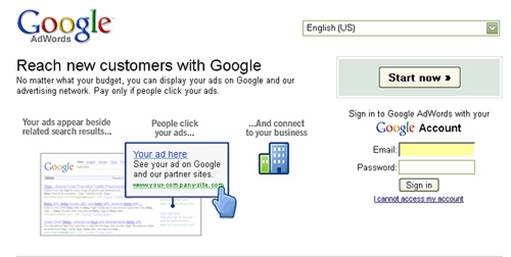 Creating and maintaining Google Adwords PPC campaigns takes a lot of time and dedication. Not only do you need to research keywords, write engaging advertisements and configure settings in order to set them up, but you also need to monitor your campaigns on a daily basis. You will find that there is a lot of testing and re-writing involved in managing PPC campaigns as you will always need to be on the lookout for ways to improve your click through rates. Many business owners simply do not have the time or knowledge to do this and therefore have to come to the decision whether to hire someone in-house or outsource the work to external support. In this article we will discuss the advantages of in-house PPC management as well as the benefits of outsourcing the work to help you come to the right decision for your business. It is essential that Google Adwords campaigns are managed by experts in order to stand a chance at achieving the desired results. If you outsource the work to a PPC agency they will not only be working on your campaigns but other businesses’ too. If however, you decide to hire someone in-house you will have benefit from the fact that they will be dedicated all of their hours to your PPC campaigns only. This means that they will be fully focussed on your campaigns, enabling them to pay extreme attention to detail when it comes to optimising them. When you hire someone in-house you expect them to get to know your business and understand your goals. This usually means they will know what words you like to use to describe and represent your company and the words you choose to avoid. By hiring someone in-house you are more likely to receive PPC adverts that perfectly represent your business and values first time. Hiring an in-house PPC manager provides you with greater control over their work. Not only will you benefit from being able to oversee the campaigns yourself, but you can also easily communicate with them face-to-face if you have any issues. There is no doubt about it, PPC managers working at an agency are going to have a broader knowledge and greater experience than those that work in-house on a single business’s campaign. The fact they work on a number of businesses’ campaigns will mean they have a better understanding of what works and what doesn’t for businesses in different industries. They also may find that something they did that worked for one business’s PPC campaign may lend itself to your business’s Google Adwords PCP campaign. They understand the best practices and will have the knowledge to tailor your campaigns to achieve optimal results. External PPC support agencies (such as www.revivedigitalmedia.com/) are also likely to have many contacts in the industry. Not only will you benefit from their search engine marketing contacts, but you may also benefit from their contacts at Google and other major search engines. PPC agencies are much more likely to have access to inside information that allows them to best tailor your campaign to fit in with Google’s requirements. Many companies that provide PPC management and support services also offer a wide range of digital marketing services including organic SEO, social media and copywriting. Purchasing their services as a package will often work out much cheaper than hiring a number of in-house experts. The external company can integrate elements of your digital marketing campaigns to achieve symbiosis. If you think about it, an external PPC agency is likely to be more dedicated to achieving results than someone that is working in-house. If they do not manage your PPC budget wisely or achieve the promised results, they know you will simply find an alternative agency to work with instead. This means that they will do everything they can to optimise your Google Adwords PPC campaigns and ensure they are providing the best possible return on investment for your business. There are benefits to both hiring in-house and outsourcing PPC management. There are advantages to both hiring a PPC manager and outsourcing the work to an external company, however if you are looking to gain expert knowledge or require additional digital marketing services, outsourcing may be the best option for your business.